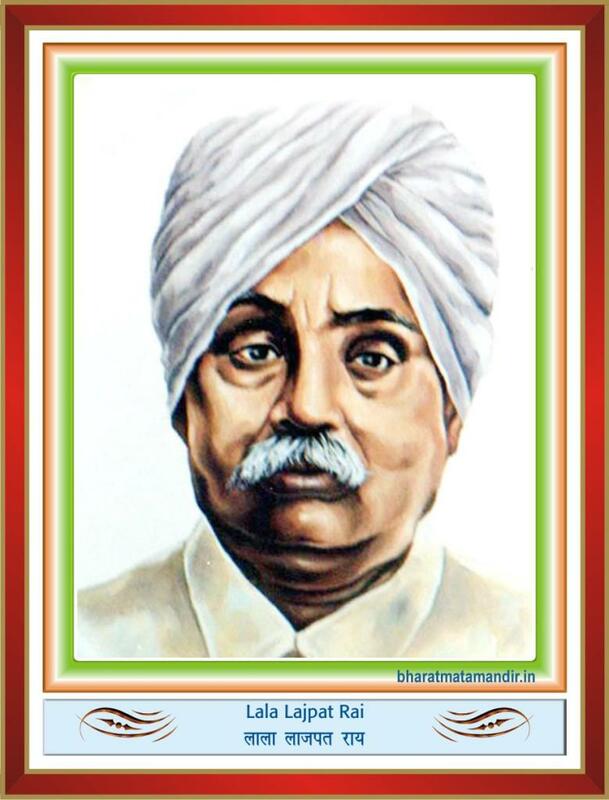 Lala Lajpat Rai was born in 1865. After his schooling, he joined the Govt. College at Lahore in 1880 to study law. There he came in contact with patriots like Lala Hans Raj and Pandit Guru Dutt. The three became fast friends and joined the Arya Samaj founded by Swami Daya Nanda. Lalaji dove headlong in the struggle against partition of Bengal. Along with Surendra Nath Banarjea, Bipin Chandra Pal and Arvinda Ghosh, he galvanized Bengal and the nation in a vigorous campaign of swadeshi. Lalaji believed that it was important for the national cause to organize propaganda in foreign countries to explain India’s position as the freedom struggle had taken a militant turn. He left for Britain in April 1914 for his purpose. Lalaji wrote numerous articles and delivered many speeches in Britain and USA. Lalaji was disgusted at the arrogance of the British for sending the Simon Commission which comprised of British only. On February 16, 1927, Lalaji moved a resolution in the Central Legislative Assembly, refusing cooperation with the Simon Commission ‘at any stage or in any form’ and got it passed. During a peaceful demonstration against the Simon Commission, the police lathi-charged. Lalaji tried his level best to keep the demonstration peaceful, but the police targeted him and wounded him on his chest. The people were enraged at this insult and held a meeting the same evening. Lalaji, though in intense pain, gave a speech and declared “……..every blow aimed at me is a nail in the coffin of British Imperialism…..”. Lalaji appealed to the people “I do not know whether I shall remain, but you should never worry. My sprit after me will go on exhorting you to make more sacrifices for liberty.” Lalaji died on November 17, 1928 of heart failure.